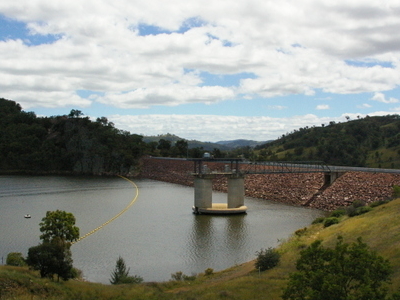 Chaffey Dam is a dam 16 kilometres north of Nundle and 44 kilometres south of Tamworth in New South Wales. Its main purposes are regulating the flow of the Peel River and to augment the water supply of Tamworth. The dam has a capacity of 62,000 megalitres and a catchment area of 42,000 hectares. Its main wall is 54 metres high. Here's the our members favorite photos of "Dams in Tamworth". Upload your photo of Chaffey Dam!